The Falklands, Kirra, Delphi together! That noon I was sitting by the sea after eight days mapping Mount Parnassus and its magnificent forests . I was not looking for ancient Kirra . Or, in any case, for what has left of it. When the 10-year war for the control of the Delphi Oracle ended in 590 BC the Delphic Amphictyony destroyed Kirra . The city was rebuilt and evolved into a strategic port, the main port of Delphi and Amfissa areas. 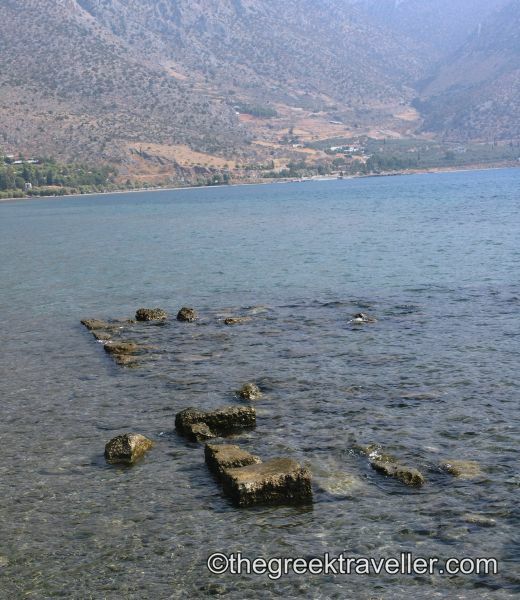 At this very port the boats that transported visitors to the famous Delphi Oracle used to arrive for centuries. 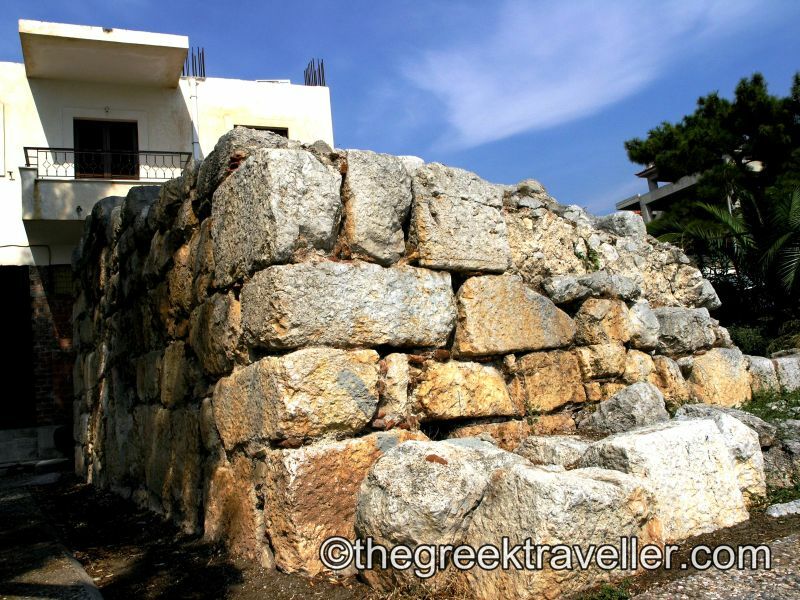 Ancient Kirra , which according to tradition was built by Cretan merchants at the mouth of the river Pleistos, was the only port that had a quick and safe access to Delphi . The ancient Kirra was destroyed – most likely – by an earthquake in 740 AD. Very few remains reminiscent of the once mighty city were left in modern Kirra – which was built after 1870 and originally was called Xeropigado. 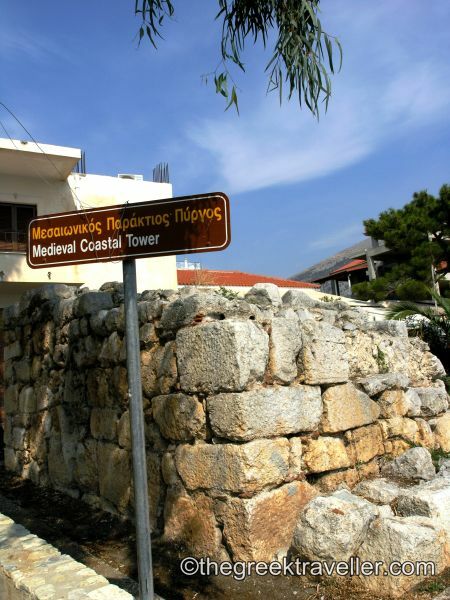 I could see the site of the ancient shipyards (located in front of the large village square), the half sunk remnants of the harbor walls and the ruined medieval tower that probably functioned as a lighthouse and was built with material from the ancient harbor . After painstakingly found all this I got – worn out and hungry – by the medieval tower. I saw it. In photographed it . And I saw over the ancient stones one sign writing…” Tavern The Falklands”’ ! Yes. Truth . The Falklands in Kirra! The Falklands next to Delphi ! Oh .., God Apollo…, that was unheard, unusual (and very funny for that matter… ) . I sat at the tables of the ” Falklands ” and picked a fresh cod to be baked on the grill . A southern warm wind was blowing sweetly, and made me gently dizzy. Until my fish was cooked and between two glasses of beer I learned where the title “Falklands ” came from. The name came from a funny fact . 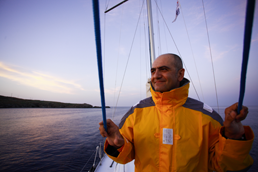 When the tavern first opened, a lady living next door, told Kyriakos, the tavern owner: ” As the British came to Falklands, so you came to me here… ” Jokingly she gasped the tavern owner as the attacker ! And unwittingly she became the godmother of the most famous tavern in Kirra ! 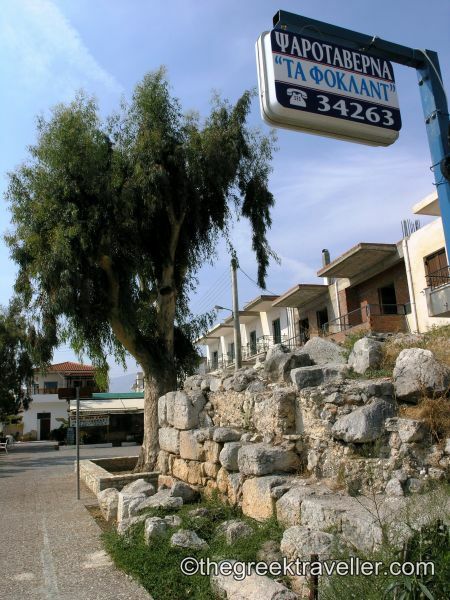 Kirra is located very close to the famous Delphi and right next to Itea . The best and quickest way to get here is by car via Arachova and Delphi , following the main road.